Offer is valid from 2AM NZDT, January 1, 2018, to 2AM NZDT, February 1, 2018. Limit of one free Citrus Fresh 15ml, Envision 5ml, Thieves Waterless Hand Purifier, Clarity 15ml, and NingXia Red 2pk per qualifying Standard Order. 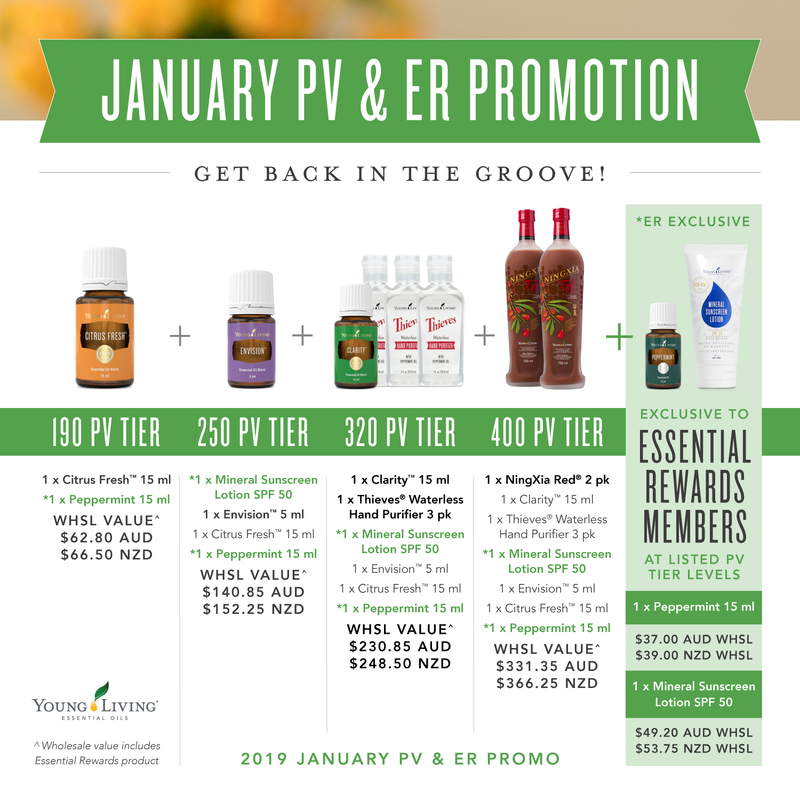 Limit of one free Citrus Fresh 15ml, Peppermint 15ml, Envision 5ml, Mineral Sunscreen Lotion SPF50, Thieves Waterless Hand Purifier, Clarity 15ml, and NingXia Red 2pk per qualifying Essential Rewards Order.